It was the Durga Puja time when the package carrying Bharathy's mystery ingredient arrived at my doorstep, but I was not present at home. My cousin sister just moved to town the week before and I went to help her with the unpacking. With two super mischievous toddlers at tow, it was way more difficult than I thought. We were totally drained and were almost shouting after the kids when Hubby called up to say a courier has come for me. With the entire running around my mind was blank and I felt totally clueless. Who could it be? was my first thought and Hubby replied Bharathy. That made me coming to the real world and I exclaimed with joy 'Arusuvai'. It must have been a pretty hard exclamation as when I look up saw sis, bro-in-law and even the two brats looking at me in utter awe. But I wasn’t ashamed a bit and didnt even try to explain what it is all about. As I was pretty sure that non bloggers wouldn’t understand its importance. Just informed Hubby not to open it till I reach home...I wanted to experience and savor every moment of having the package by myself. That evening when the exhausted us reached home the baby was already asleep and after putting him to the bed I hurriedly reached for the packet. As I thought it came with a lot of goodies, the mystery ingredient and a beautiful handmade card by Bharathy herself. It made me feel special to be a part of a chain that I always wanted to be...for me it was like reaching the end of a full circle. We were exhausted so thought of taking the pictures in the morning. but God did I know what a mistake that was. By the time I opened my eyes, the baby was already up and almost finished the chocolates by himself (with a little help from his father). Am so sorry I cannot show you all the things she sent and below is what I managed to save and click. (Still now when I was editing this picture he was yelling 'thocolate thocolate'). My mystery ingredient was Pumpkin seeds. And with a look at it I instantly knew what to cook with this. I had bookmarked this recipe from Jugalbandi long back. The time was apt as my father who is a big fan of masala peanuts was coming during Diwali. So baked masala pumpkin seeds it was for me. I almost followed their recipe with a little bit of change in the seasoning and it came out delicious. A guilt free snacks, which has become our family (does that count friends too?) favourite and I have already made it twice since then. I have tweaked the recipe a little bit and added a spoonful of olive oil to make it crunchy and a little less hard. This stays good for a couple of weeks if stored well in an airtight container. Before I talk about the recipe here is a quick reminder for Arusuvai Friendship chain. This is a very famous Food blog friendship event, which am sure most of you have known. For those who are new HERE is the link of the Arusuvai Post. Arusuvai is a friendship chain among food bloggers where one person sends a mystery ingredient to the other to cook with it. The receiver then carries the chain by sending another package with a food ingredient to another friend. That way it not only brings friends together but also gives an opportunity to learn and taste various cuisines. 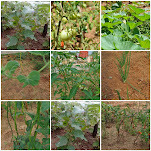 Lathamma of the famour ‘Yum blog’ created this beautiful chain and later Bharathy and Srivalli carried on the good work by coordinating the whole process. This year we have again united to celebrate this unique friendship with Arusuvai Friendship chain. 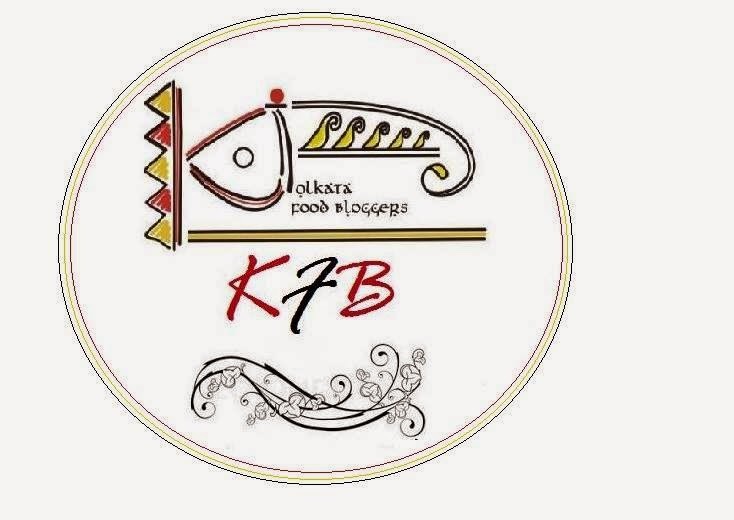 Bharathy has started the Chain by sending the ingredient to me and I am going to send packages full of hope and mystery ingredient to another 2 bloggers very soon. We need all of you to come up and join hands. Have you become a part yet? Please check THIS, THIS or THIS for more information. Take same amount of ingredients for a cup of peanuts as well. Dry roast the peanuts and seeds for a few minutes. Take out and spread on a paper. Mix the gram flour, rice flour, soda and the entire seasoning ingredient in a bowl. With the half of the gram flour mixture make a smooth paste by adding little water. The batter would be thick and lump free. Mix this to the pumpkin seeds and mix to coat well. Now start sprinkling the dry flour-spice mixture to it. The seeds would be coated with dry flour. Spread the coated seeds on an oven proof tray (I lined mine with silver foil to make my cleaning work less messy). Try to break the lumps as much as possible, which wont be too easy. Bake for 10 minutes at a preheated oven of 200 C.
Mine was done at the end of it, if required bake it for another 4-5 minutes till they turn golden brown and crisp. Take out on a plate and let it cool. Repeat with another batch of peanuts. Store in airtight container. Tastes amazingly good with evening tea or coffee. Snacks, what to do with peanuts, best low calorie nuts, gram flour, rice flour, chickpea flour, pumpkin seeds, no oil snacks, Baked crispies, baked nuts, low oil nuts, calorie free snacks, events, food blog event, crispy nuts, baked savory nuts, nut crackers, gram flour coated nuts, flour coated seeds, savory pumpkin seeds, crispy pumpkin seeds, seasoned snacks, spicy nuts, spicy crispy pumpkin seeds, roasted peanuts, toasted spicy peanuts, best low calorie snack. great recipe and gorgeous presentation. 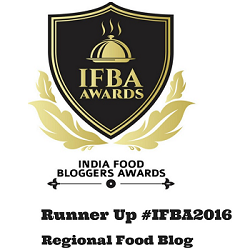 there is an award for you...just tosay thx for all ur support. hi. That'a a beautiful thought dear behind strengthening friendship and I would love to try this as I have some sunflower seeds at home. Masala Peanuts must have tasted wonderfully well. I also bookmarked this recipe from JB long back n forgot abt it.Thanks for reminding me.The concept of this friendship chain is super interesting with food involved. Baked masala peanuts and pumpkin seeds sounds delicious. hv been postponing roasting the pumpkin seeds..shld do it today atleast! thx for a great reminder! Sayantani..this is such a lovely snack you prepared.It is healthy and tasty too. 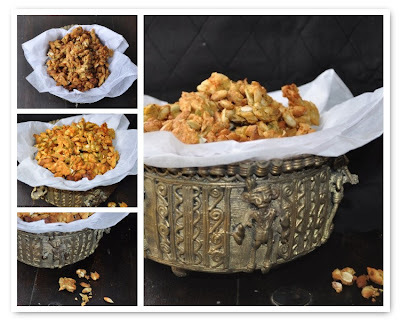 very healthy snack.. love the idea of baking it..
Wat a beautiful friendship chain, enjoy gals..Baked masala peanuts and pumpking seeds looks extremely crispy..
tasty and crunchy seeds and peanuts...long live your friendship.. Healthy nutty n crunchy Snack!!! Great presentation! My husband loves pumpkin and sunflower seeds. Let me see if I can get him to have your baked version. I love that serving dish. But cant make out what it really is. Oh, this is back?! I was the happy recipient of a similar package some time back and it was absolutely wonderful to have a chance to share in this journey! Snacks like these are just what we need in winter! What a lovely snack to begin the arusuvai chain with. baked masala peanuts, even better, no need of deep frying.. a very healthy snack! 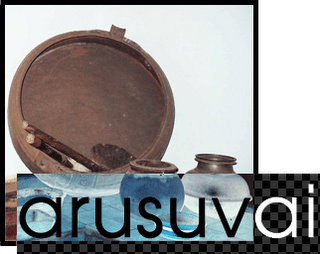 I can see the overwhelming response for Arusuvai, already in your place! This looks so yumm ...n I luv d bowl too. Gurl you have an award awaiting at my blog. Wow lovely recipe..And beautiful presentation !! How are you? i am back home and reading your postings. Very nice write up on house set up and food chain. I didn't have any idea how that crispy coating was made. I shall try. From where do you get de-husked pumpkin seeds? I used to bring lot of de-husked pumpkin seeds from Korea. You can make awesome dhoka dalna with this. If I go to Korea next month, I shall get a pack for you.Let me check if it is available in India. bhalo theko, will meet you for sure next time. I will be in Santiniketan end of this month. Will you be there. nice looking snack:) would love to be a part of this chain!! Oh, peanuts too!--I can make this now...love the idea of baking! as you say guilt free. LOL the baby finishing off all the chocolate!! Hey I love these. I have pumpkin seeds in my fridge and I know what I will be making from them.